The LANCOM 1783VA is the ideal device for professional telephony and high-speed Internet in small and medium-sized enterprises. Equipped with telephony features, 2 ISDN interfaces and 2 analog interfaces, you can operate analog, ISDN, and VoIP telephony at locations with an All-IP exchange line—without having to replace existing components. 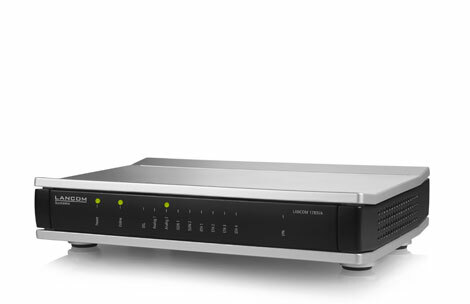 The router also offers high-speed Internet thanks to its VDSL2/ADSL2+ modem and secure site connectivity with IPSec VPN. 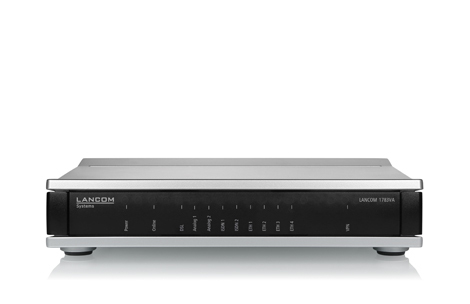 The LANCOM 1783VA translates between ISDN, analog, and VoIP. Along with the latest VoIP equipment, you can continue to operate your existing ISDN and analog components without having to replace them. Even after switching to the new All-IP connection, this cost-saving solution conveniently and professionally integrates your ISDN and analog network components. It is also possible to operate a combination of analog, ISDN, and VoIP PBX devices directly at the LANCOM router. The LANCOM Voice Call Manager is already integrated into the LANCOM 1783VA and provides advanced telephony support. It handles the telephony management and controls all of the PBX components and functions of the router. The LANCOM Voice Call Manager provides common functionalities of a Session Border Controller: For instance, it enables the secure separation of external (insecure) and internal (secure) networks. Ensuring a high voice quality, voice packets are preferred due to bandwidth reservation (Quality of Service). 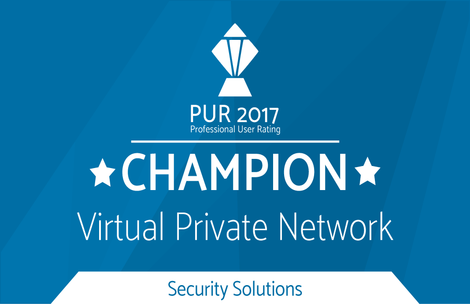 On top of that, the VCM as a SIP proxy enables the professional management of signaling and voice data for a high security during establishment, processing, and termination of phone calls. - including the necessary conversion of protocols via transcoding. The LANCOM 1783VA is a professional, high-performance VPN router for high-speed Internet access with its integrated VDSL2/ADSL2+ modem. Thus it offers maximum flexibility for the transition from ADSL to the high-speed Internet with VDSL - thanks to VDSL2 Vectoring support offering up to 100 Mbps. 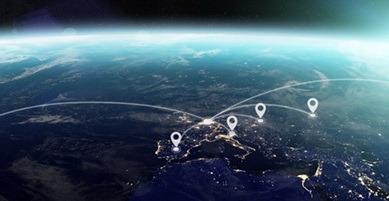 VPN solutions from LANCOM offer flexible, economical and secure networking of headquarters, subsidiaries, branches, sites, and home-office workplaces in small, mid-sized and large enterprises. The LANCOM 1783VA supports up to 5 simultaneous IPsec VPN channels, with optional upgrades for 25 channels.